Inter-VRF-Lite routing (7/7) | CCIE, the beginning! – Both customers with overlapping address schemes communicate with a common site using static NAT NVI. Because the virtual prefix 20.0.0.7 doesn’t belong to an attached subnet, a static route is needed to route traffic with that destination to outside interface. Because the virtual prefix 50.0.0.0/24 is not an attached subnet, a static route is needed to route traffic with that destination to the corresponding vrf interface. The main purpose of VRF-Lite is to separate routing instances providing a certain level of security, but depending on your policy you may need to provide intercommunications between VRFs, hence, the negative connotation behind “Route leaking”. In case customers deploy dynamic routing you can redistribute static routes to the customer (BGP or IGP). To not confuse with inter-VRF communications in MPLS and MP-BGP; where RT (route target) import/export policy is required. I read trough your docs, I liked the way you explained things in diagram. It is a good reference document that you have carefully put together for the public and your deserve credit for that. I have a question here and I hope you will have a minute to point me to the right direction. I have a similar setup as the one you explained in this part of document “Inter-VRF-Lite routing (7/7)”, except that my gateway router R1 is directly connected to the internet (f0/0) and no vrf is required in the outside. I have 2 sub-interface on the inside, both in separate vrf. I just did not manage to inject the default route to each vrf. 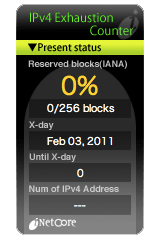 I can not ping outside if sourced from one of the VRFs, I believe the NAT problem. I hope that you may point the finger to what is missing in my configuration. Note: the 2 vrf do no need to communicate to one another, they simply need internet access route. – Enable debug ip ICMP at the source & destination (If your using routers) or a packet sniffer to see if they are receiving ICMP traffic. – Enable debug ip nat, to check whether NAT operating correctly. Note : “debug” to be avoided in production env. it is mainly for educational & lab purpose. vpn clients [I have added ACL 100 – permit any any – but it does not resolve the problem]. It’s is probably not the permissive ACL (any any), because the router whether it ends or starts encryption tunnels it operates on clear data, i.e. entered data is 1st decrypted then input ACL performed, or outbound traffic is marked for encryption (crypto-map), filtered through outbound ACL, then encrypted. Great Post. I’m working on the same deployment & only issue I’m having is, I have a backup router next to R1 which is configured with HSRP for fail over. Is there anyway to do the NAT failover from R1 router to the Backup router if R1 is unavailable? Hi Dinesh, thanks and sorry for the late reply. I think the more appropriate design would be “Customer VRFs & Common service global RIB + Traditional NAT” + HSRP deployment.